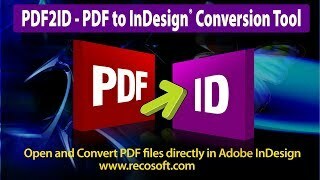 PDF to InDesign using PDF2ID v4.0 from Recosoft. 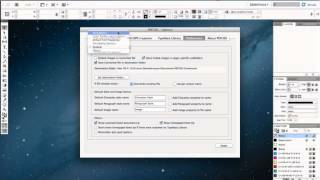 See how PDF2ID v4.0 creates editable InDesign files from a PDF in a matter of seconds. 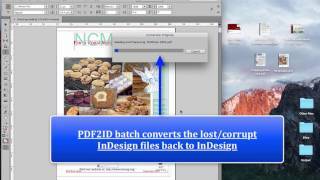 With this video you can learn how to convert PDF to InDesign. 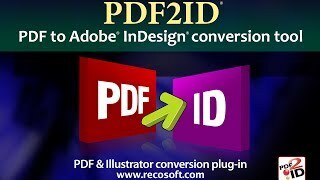 PDF2ID is the tool of choice by many businesses and individuals for converting PDF and Windows XPS files to InDesign format. 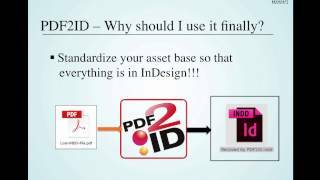 Today, we want to show PDF2ID v4.0 the latest version of PDF2ID, which converts PDF and Windows XPS files to editable InDesign files. 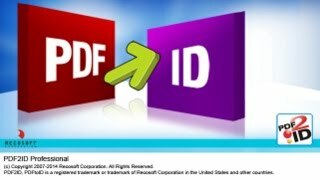 As all of you are well aware, PDF2ID has been around for 6 years and used by many companies and individuals as the tool of choice for converting PDFs and XPS files to InDesign format. 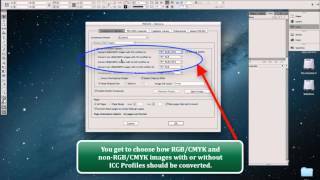 PDF2ID v4.0 has been enhanced so that it operates with InDesign Creative Cloud (or CC) and is now a native 64-bit native technology. 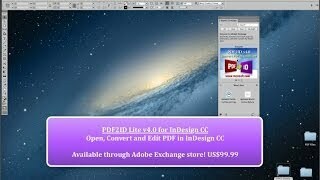 PDF2ID is plug-in for InDesign, once its installed you see the Recosoft menu within InDesign. 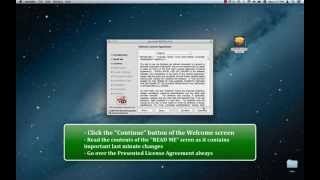 To convert a PDF file simply select the PDF2ID – Convert PDF/XPS file command. 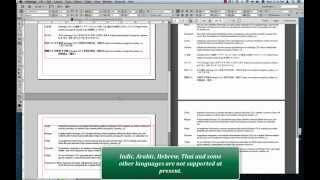 A window appears for you to select a PDF or XPS file to convert. So let just select a file to convert. 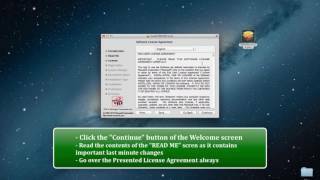 PDF2ID first inspects the file you are trying to convert and if it finds any fonts that were used in the PDF file that it couldn’t match against what you have in your system it provides a little tip. Lets just click OK at present to dismiss it. 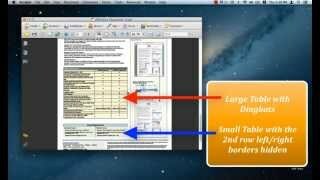 The main PDF2ID – Options window appears now. 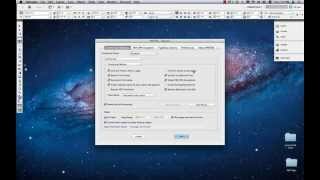 You can set a lot of options here, which allows you to fine-tune the conversion and tailor your workflow. But in most cases the default settings simply work. If you remember, PDF2ID initially popped up a tip with respect to fonts that it couldn’t match. To achieve the best conversion you want to substitute the fonts. 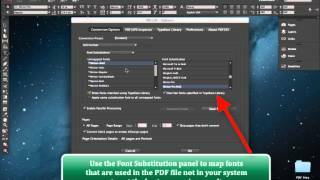 So, let just choose “Font Substitution” and the font substitution panel appears. I’ve already substituted my fonts, and PDF2ID remembers the substitutions so you don’t have to do this every single time. 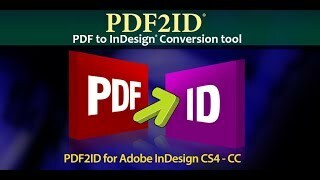 Lets click OK to convert the file and observe the converted result against the original PDF file (notice that the conversion of a 15 page PDF file is extremely fast in PDF2ID v4.0). 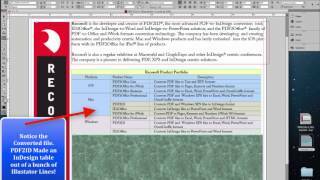 Lets compare the original PDF file against the converted output. 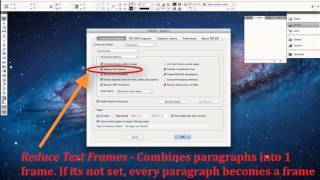 You notice that the layout has been preserved extremely well with paragraphs being formed and frames being linked. 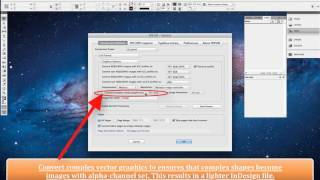 You further notice that images and vector graphics are native Indesign elements also. Lets scroll down a few more pages and observe the formatting some more. Again, you notice that the layout is well preserved and all of the text is live and editable. Furthermore you can appreciate the detail with which PDF2ID re-created InDesign properties such as a clipping path being applied to this image here; the text frames next to each other being linked and the vector graphics as fully editable InDesign objects. 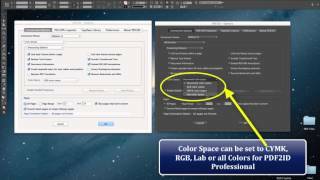 Checking the links panel in InDesign we see that native image color space and resolution is maintained also. 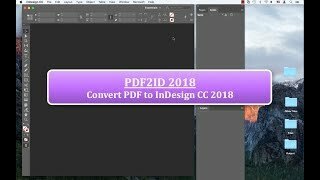 PDF2ID v4.0 now supports InDesign CC enabling you to edit the contents of a PDF file in InDesign easily allowing you to automate your workflow and enhancing productivity.